Nurses often lead an electronic health record implementation. This course builds on the content provided in Epic Clinical Content Builder Training - Basic. This CE activity has been designed to change learner competence and focuses on the Institute of Medicine area of using information technology, and the Nursing areas of roles/responsibilities and interprofessional communication. To lead an electronic health record implementation, nursing informaticist builders need to understand the key workflows and tools of Epic. The nursing informaticist builders make key decisions during the EHR implementation process and they need to understand the implications of those decisionson nurses and patient safety. The purpose of this training is to show nurses who use Epic’s electronic medical record how to configure the software to accommodate patient workflows in general and specialty areas. Specifically, the course will show nurses how to create custom documentation and other tools. This program is intended for nurses in general and specialty practice areas using the Epic EMR in their daily workflow. Describe the variety of tools available to document in the EMR and how to evaluate which tool is best for which clinical need. List the top ways individual clinicians can customize the EMR to be more efficient. Explain how to construct and modify Documentation Flowsheets, reports to find patient information, activities to trend and correlate patient data, and building of workflows. Describe how standardizing the approach to ordering workflows enhances clinical staff productivity and has the potential to increase nurse and patient safety. * (2) 15 minute breaks will be taken on day one and two, as needed. (1) 15 minute break will be taken on day three, as needed. This course will be held in Voyager Hall. Discussion of Unlabeled/Unapproved uses of drugs/devices in presentation? It is the policy of the University of Wisconsin–Madison Interprofessional Continuing Education Partnership (ICEP) that the faculty, authors, planners, and other persons who may influence content of this continuing education (CE) activity disclose all relevant financial relationships with commercial interests* in order to allow CE staff to identify and resolve any potential conflicts of interest. Faculty must also disclose any planned discussion of unlabeled/unapproved uses of drugs or devices during their presentation. For this educational activity all conflicts of interest have been resolved and detailed disclosures are listed above. The University of Wisconsin provides equal opportunities in employment and programming, including Title IX requirements. The University of Wisconsin fully complies with the legal requirements of the ADA and the rules and regulations thereof. If any participant in this educational activity is in need of accommodations, please contact info@icep.wisc.edu. *The ACCME defines a commercial interest as any entity producing, marketing, re‐selling, or distributing health care goods or services consumed by, or used on, patients. The University of Wisconsin–Madison ICEP does not consider providers of clinical service directly to patients to be commercial interests. In support of improving patient care, this activity has been planned and implemented by the University of Wisconsin–Madison ICEP and Epic. 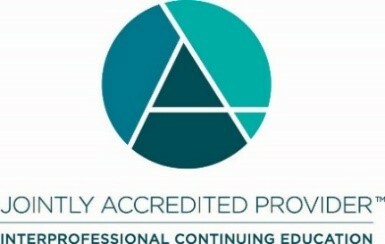 The University of Wisconsin–Madison ICEP is jointly accredited by the Accreditation Council for Continuing Medical Education (ACCME), the Accreditation Council for Pharmacy Education (ACPE), and the American Nurses Credentialing Center (ANCC), to provide continuing education for the healthcare team. The University of Wisconsin–Madison ICEP designates this live activity for a maximum of 15.75 ANCC and Iowa Board of Nursing contact hours. The University of Wisconsin-Madison School of Nursing is Iowa Board of Nursing provider 350. A copy of the evaluation(s) may be sent to the Iowa Board of Nursing, 400 SW 8th St., Suite B, Des Moines, IA 50309. The University of Wisconsin–Madison ICEP, as a member of the University Professional & Continuing Education Association (UPCEA), authorizes this program for 1.575 CEUs or 15.75 hours.